Soft praline filling on the base of cocoa butter and peanuts, with delicate vanilla aroma, storage life is 6 months. 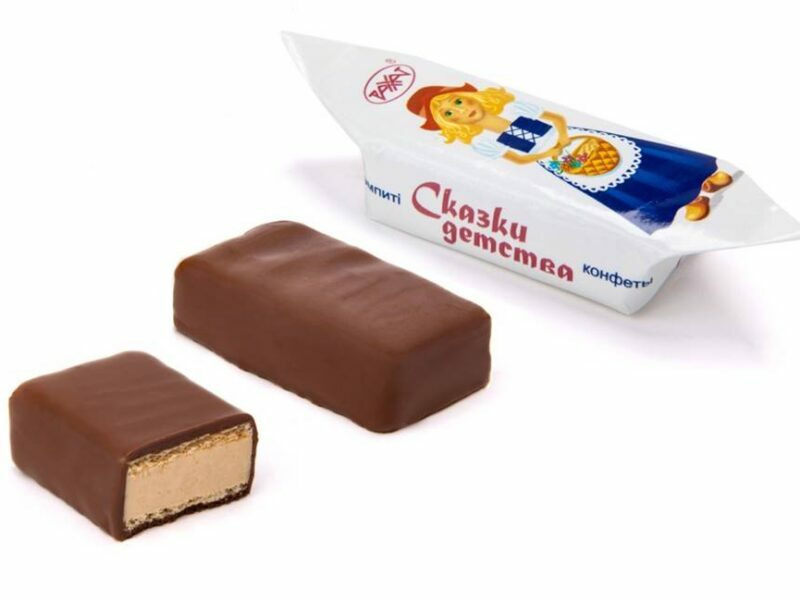 Ingredients: sugar, peanuts ground, cocoa mass, vegetable fats (palm oil, soya oil), wheat flour, cocoa oil, emulsifiers: soy lecithin, Е476, E492; egg powder, corn starch, common salt, aerating agents: baking soda, ammonium carbonate; antioxidant – NovaSOL COF (tocopherol E307); aromatizer is identical to natural, vanillin is intensifier of taste and smell, enzyme (protease). Storage temperature is (8-24)°С, relative air humidity should not exceed 75%.